Lewis Hamilton says Mercedes should expect a Ferrari resurgence in F1 2019's next races after pre-season predictions were turned on their head at the Australian GP. Asked if he was surprised to see Ferrari so far behind on the opening weekend, Hamilton replied: "Everyone is, probably. No one was expecting to have a gap like that when we came into the weekend. How did car damage impact Hamilton? After claiming all 11 of Mercedes' race wins last year on the way to his fifth world title, Hamilton was comfortably beaten by Valtteri Bottas to the Silver Arrows' first victory of 2019 - and by an usually large 20-second margin. Hamilton said he felt inside the W10 that "something didn't feel right". Mercedes are still investigating what triggered the damage, with debris from other incidents on track one potential cause. Hamilton's second stint of 43 laps also meant he had to manage his medium tyres to the finish. Mercedes pitted Hamilton to cover Ferrari's Sebastian Vettel, who had stopped a lap earlier. 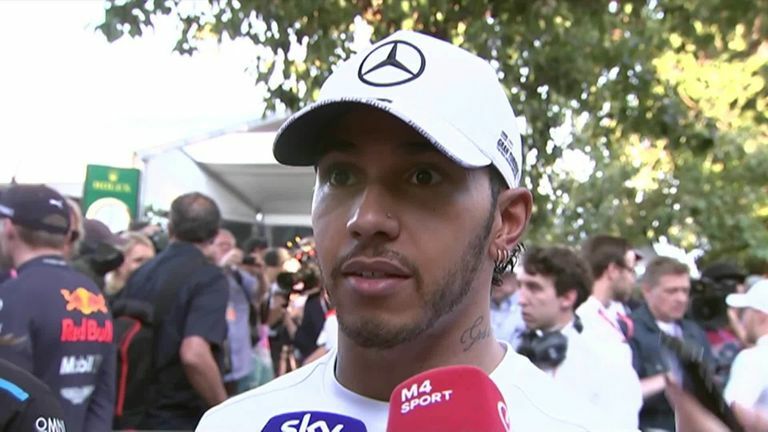 Although Hamilton has now not won in Melbourne for four years despite a run of six consecutive pole positions, the five-time champion says he heads back to Europe in a positive frame of mind. "I've been here a long time and it's a long year to go and there's a lot of knowledge we can take from this race. The glass is half full," he said. Round two of the season takes place in Bahrain on March 29-31, live only on Sky Sports F1.